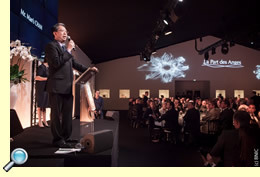 The 8th annual La Part des Anges auction and gala took place in Cognac on 19 September, 2013. 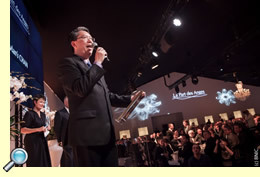 Each year of La Part des Anges auction and gala, International Cognac Personality of Award will be awarded to those who are most involved and devoted to the Cognac Appellation. They will be responsible for promoting Cognac in other parts of the word as Cognac Educators. 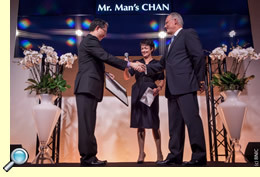 It was my honour to receive this award this year, as the first Chinese and the first Asian to be granted this award. There were 2 candidates who were awarded with the Les Cognac Awards in 2013, which makes it 12 worldwide in total. 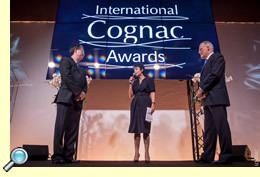 I was very honoured to be the first Chinese to stand in front of 650 Cognac experts, and owners of Cognac Houses and chateau to deliver my speech as an awardee. 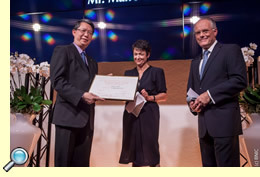 It is not only an encouragement to my enthusiasm and effort to Cognac collection throughout the last 20 years; I believe the main reason is that the effect of China is growing rapidly, for them to give this award to a Chinese person. Therefore, this glory belongs to all Chinese! 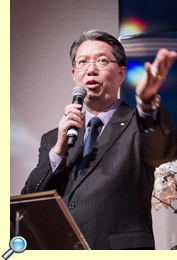 The following is the photos / videos taken during prize-giving.